When Can A Couple Go For Divorce Mediation? When Is Mediation Not Helpful? What Are The Questions To Ask A Divorce Mediator Before Hiring? How Long After Mediation Will Your Divorce Be Final? Divorce need not always end in bitter battles. You can choose to part ways with your spouse amicably, especially if you have kids, as you need to maintain a healthy relationship with your partner post divorce. If the communication between you and your spouse has ceased, but you want to negotiate and come to a mutual agreement over the terms of the divorce, then you may consider divorce mediation. In this post, MomJunction tells you what divorce mediation is, its process, the questions to ask while choosing a divorce mediator, and more. It is a mutually agreed process in which the separating couple meets and solves issues related to child support, distribution of property, etc. before filing for a divorce. Mediation makes the process of divorce quick and less stressful for both the couple and the family. A mediator can be appointed by the court or the couple can voluntarily opt for it. The divorce mediator remains neutral and facilitates the process such that the couple keeps aside their differences and works together for one last time. Since this is a voluntary process in most US states, either of the parties has the right to object to mediation (1). Then the couple will proceed to divorce by trial. You may go for divorce mediation under the below circumstances. Both are keen on taking divorce: When both the partners agree that their marriage is over and it is best to part ways, then divorce mediation is helpful in closing the formalities related to children and finances. In such cases, it is easier to negotiate and find a solution as both the partners are willing to cooperate. There is no abuse involved: If one of the partners is abusive, then the court or the mediators would not advise for divorce mediation. There is always a risk of the abused partner agreeing to the terms of the intimidating partner out of fear. The partners are willing to disclose their finances: One of the challenging aspects of divorce mediation is a financial settlement. This is possible only when both the partners are willing to disclose their financial information. The mediation would run smoothly when all the information is put on the table. The couple considers children’s welfare: Divorce can be hard on children. 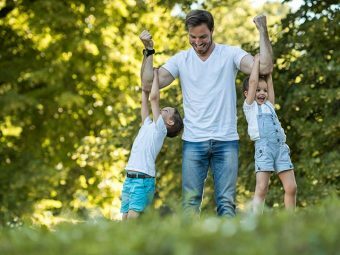 When both the partners agree that their children’s well-being is above their differences, then mediation can help them come to an understanding on child custody. Ultimately, everything boils down to a consensus between the couple. If they are willing to cooperate with each other, then mediation helps settle the matter. Apart from making the divorce a peaceful affair, here are some more benefits of going for mediation before the divorce. Saves time and money: Most of the time-consuming and critical issues, such as child support, alimony, child custody, etc., can be sorted out through negotiation. In addition to saving time and money, this will also save you from multiple visits to the court for attending the court proceedings. Easy on the children: Mediation helps the partners to settle child custody and support constructively while saving the children from the harshness of a trial divorce. Peace prevails: A divorce is never easy; there will be fights, arguments, and disagreements. But these need to stop at some point in time and divorce mediation gives you that chance. In mediation, the focus will be on finding solutions that are in the best interests of both the wife and the husband. No strangers: Unlike in a court trial, divorce mediation happens between the partners and the mediators. This way, you can have the negotiations without the involvement of strangers, and put forth your points without hesitation. Have control: In divorce mediation, you have the strings in your hands. During negotiations, if you feel something is going against your interest, you can always intervene and express your point of view. Since mediation is all about arriving at a mutual agreement, the rate of satisfaction is high. Complete confidentiality: In divorce mediation, the privacy of the couple is protected. All the forms of communication and information will be in between the couple and the mediator. The Uniform Mediation Act (USA) emphasizes protecting the information except under exceptional situations (2). Mediation is advised to make things less difficult for a couple who is already under stress due to divorce. In spite of its usefulness, divorce mediation may not be an option under certain circumstances. Sometimes it is good to avoid mediation and proceed straight to a court trial. Here are some such cases where divorce mediation cannot help. When one or both the partners are not willing to compromise and don’t want to go without a fight. You are too emotional and cannot speak or advocate for yourself. When you have an abusive relationship, and there is a threat to your life. You have unresolved issues, and both hold grudges. If one of the partners is deliberately hiding information and purposefully making the process complicated. You may talk to a lawyer to understand if mediation works in your case. They may also help you choose a mediator. Hiring an efficient divorce mediator is crucial for the success of the process. Here are some questions you might want to ask a divorce mediator before hiring them. While it is not always mandatory for a divorce mediator to be an attorney, it is important to check their qualifications and past track records to ensure that the person is qualified and experienced enough to handle any hurdles that may occur during the mediation process. Usually, there are two types of mediation styles — directive and facilitative. In the directive style, the mediator tries to direct the couple as per their perspective or the court’s orders. In the facilitative style, the mediator helps the couple to process each issue and come to a mutual agreement. Experienced mediators may use both the styles wherever they are applicable. In the case of conflicted couples, the mediator would meet each partner separately and move both of them towards a settlement. But in such cases, the couple entirely depends on the mediator for information and may not know each other’s standpoint directly. Hence, this must be used only when needed. There is no guarantee that both partners behave with maturity throughout the mediation process. But at the beginning of the procedure, the mediator can get the couple to sign a full disclosure and full cooperation document. This will also include the mediator’s right to suspend the mediation if the rules are broken. The duration and cost depend on the mediator. Some split the sessions into parts which will last from 3-4 hours, while others continue the session until the couple comes to a mutual agreement. Ask them about it and also the fee they would charge for the job. This will help you have continuity so that you can deal with one person from start to the end and also reduce the cost of hiring multiple people. The success of divorce mediation depends on the competency of the mediator. Not all mediators will have the experience to deal with all kinds of conflicts. Find a mediator who is experienced in handling your kind of cases, shows interest in your case, and sincerely works towards closing it. The mediation process differs from couple to couple and state to state (3). Below are some of the most common stages in divorce mediation in the US. The introduction: This is the first stage of the divorce mediation process. After selecting a mediator, the couple explains the situation and what each of them is expecting from the divorce. The mediator listens to both views. Based on this, the partners and the mediator work together to lay the foundation and draft a plan on how the mediation is to be carried out. The couple can then accept or recommend any changes. Gathering information: Usually this stage can be divided into two parts. a. Summarizing: The mediator may begin the process by explaining the laws pertaining to the child custody/support, distribution of property, granting alimony, etc. This will also include laws dealing with taxes, life insurance, and retirement. This information is essential to frame your approach towards each issue. The mediator will want to know details about your financial assets and would ask for the necessary documents. They will review the documents and prepare a summary of all the information. b. Making a to-do list: In the process of summarizing the financial details, the mediator might ask for some additional information. If needed, they will also guide you on how to procure it. For example, if there was a certain joint insurance policy for which both the partners cannot locate the policy number, then the mediator might suggest meeting the broker who sold the policy or writing to the insurance company. All such assets where there is no sufficient information are removed from the summary and placed in the to-do list. The partners, who have all the information handy, might want to rush through this stage, but it is the mediator’s job to make sure that both parties are aware of all the facts and agree with the way they are summarized. Finding the best interests: After acquiring all the necessary information and understanding the situation, the mediator asks each partner to list out their individual expectations from the settlement process. This will help the mediator to frame a settlement that is in favor of both the partners. As it is not always possible to mediate a settlement that can satisfy all the expectations, the partners must be ready to compromise in some areas. The mediator focuses on bringing a compromise on the most important interests. You may have these sessions separately with the mediator or along with your spouse. Negotiations: Here, the wife and husband work on addressing their most important issues. The mediator helps the couple to work out the possible options and scenarios and narrow down to the ones that will work best for both the partners. At the end of the negotiations stage, the partners will be able to reach a consensus. Conclusion: This is the last stage of the divorce mediation process. Once both the parties have found a common ground, the mediator prepares a settlement agreement and circulates it to both the parties to review with their attorneys. The agreement contains a summary of all the essential points, which are the outcome of the mediation process. It is submitted to the court as a part of the dissolution of marriage on no-fault grounds. If the couple fails to agree with the negotiation process, or if they have reached an impasse, the mediator might recommend another session. It is up to the partners to agree or decline. If they refuse, the court interferes and settles the divorce case in a series of trials. For a mediation process to run smoothly both the partners must be ready to settle the disputes. If you are willing to work on it, then a few tips can come in handy. The success or failure of divorce mediation totally depends on the willingness of the couple to cooperate. Here are some tips the partners may follow for successful divorce mediation. Be prepared: Do your homework, and know about the related laws and regulations of the state. Gather all the information about the joint assets and keep the paperwork ready. 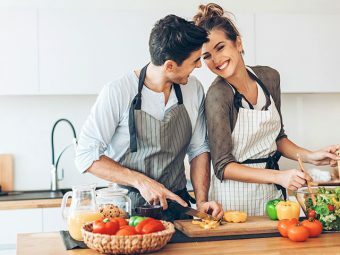 Control the temptation to blame: You might have a thousand things against your partner, but blaming each other will only make the situation worse. Have clarity on what you want from the divorce and clearly communicate your needs. Prepare to handle the triggers: Even though you want the process to be smooth, your spouse might say something out of line. Be prepared to handle such situations. Would you retort or ignore and show maturity? Before sitting down for mediation, make up your mind to handle words or actions that could trigger your emotions. Take some time off: It is not always possible to handle the situation with utmost maturity; after all, you are going through a painful process. At any point of time, if you feel that you are going to lose it, take a break, think about your ultimate goal and decide if these minor distractions are worth paying attention to. Learn to ignore minor stuff. Be flexible: You must have stepped in with a plan in your mind, but during the mediation process, you could be asked to give up something. Instead of staying adamant, evaluate if it falls within your core interests; if it doesn’t, then be flexible enough to let go of it. This will help in easing the negotiations and concluding them. Seek help: It could be your friend, your lawyer or a family member. Talk to your trusted allies, explain them your plan and take inputs. This will give you the confidence to communicate clearly during the mediation process. If you and your partner are open enough to compromise on some matters and want to close the process at the earliest, then you will get your divorce sooner than later. It will usually take 120 days for 1A divorce and 90 days for 1B divorce (4) for the divorce to be finalized after a successful mediation. If both the partners are clear on child custody, alimony, distribution of assets, etc., and the ground for dissolution of marriage is ‘irrecoverable damages,’ then they need to fill in certain forms (specific to each state) and file the divorce in the court. The court will then review the case and grant a divorce. The time between the grant of divorce and it becoming final is called the nisi period. If neither of the spouses seeks for any modification, the divorce will enter the nisi period. This period gives the couple one last chance to rethink and change their mind. After this, the divorce will be automatically finalized, and the partners can request the court for the divorce decree. Divorce is painful and will take you through an emotional upheaval. But you can make it less painful through divorce mediation, which gives a ray of hope for couples who wish to part ways peacefully. Do you have an experience to share on divorce mediation? Let us know in the comments section below. 1. Connie J A Beck, et. al; Intimate partner abuse in divorce mediation: Outcomes from a long-term multi-cultural study (2011); U.S Department Of Justice. 2. Shawn Conway; Uniform Mediation Act (USA): Legal privilege for all mediation communications; Conway-Partners. 4. Finalizing a divorce; Commonwealth of Massachusetts.